But when a blizzard traps them together, Jenny, accustomed to the safe predictability of running the family bakery, suddenly doesn't feel so secure. For even as Rourke shelters her from the storm outside, she knows her heart is at risk. Now, following her dreams might mean walking away from her one chance at love. 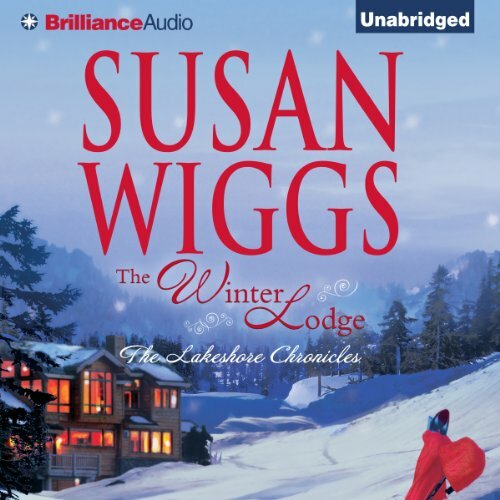 The Winter Lodge is a story about family and small town folks sticking together . . . and Jenny Majesky, the owner of the local bakery has just lost her grandmother . . . it was Jenny's grandparents who started the bakery, with their original dough starter from Poland . . . which they carried with them as they fled from the country as Hitler's army invaded . . . and the book includes many recipes with their traditional ethnic celebrations . . . Jenny grew up in the bakery, learning how to bake and create the breads and pastries that her grandmother and mother made . . . and she began to keep a journal as a young child, not long after her mother left her . . . to be raised by her grandparents . . . a series of letters and thoughts that she wrote to her mother through the years, Jenny's journals continued . . . in her teen years when two boys at summer camp caught her eye . . . both vying for her attention . . . when only one really caught her heart . . . a secret she buried deep within . . . years passed, things changed . . . people changed . . . but one thing never changed . . . then one horrible night, unable to sleep, a panic attack suffocating her, Jenny left in the wee hours of the morning to go to the bakery, where she knew she'd find the comfort of friendly faces . . . and hours later the fire engines roared by . . . sirens blaring in the dark . . . and then Rourke McKnight, the police chief came to the bakery to find Jenny . . . to tell her that her home . . . the home she grew up in, her grandparents' home . . . had burned to the ground . . . Rourke, that same handsome face from all those years ago at summer camp . . . and here he was again . . . this is their story and the story of their families . . . the small town where they live, their friends and the long ago mystery that lay hidden . . . its a sweet story with an unexpected ending . . . This novel lacks much of the warmth and novelty that has this author's later (I assume) works. The adult relationships are fairly standard of the romance novel plot. Half of the book is from the perspective of pre-teens, very sophomoric. Must of the characters have unhappy backgrounds. Half the teenage girls in the book are pregnant. The description also suggests there 's a mystery but it has yet to surface by half way through the book. I'm bored. The story, while a little predictable, filled the need for a good cozy book. The narrator, as usual, did a great job! My only complaint was that it kept skipping. Sometimes it would skip 2 or 3 seconds and other times 30 seconds. After skipping back to try to see what was missed several times. I gave up and would just listen through. Do you think The Winter Lodge needs a follow-up book? Why or why not? No. I usually love this series, but this revisited too many scenes from one of the first books of the series. I loved this book! although I lean to mysteries , This book was mesmerizing !